cpd2009 Wrote: Another good licensed game is The Lion King, released for essentially every major platform and DOS PC in 1994. Great visuals and music, but the game is very difficult in some stages. I have the Genesis and SNES versions of The Lion King myself. I last played the game a couple years back, and I did figure out the monkey puzzle, but I probably have forgotten it since then. I have never beaten the game, but seeing as how I beat all the Golden Axe Genesis games and the Normal mode of TMNT, I believe I can master The Lion King with lots of practice. I'm going to try and finish TMNT IV on Hard settings first. Once I grow tired of that, or if I finish the game, I shall move on to The Lion King. I might go for the SNES version, but I like the Genesis version too despite not having the SPC700 music track. 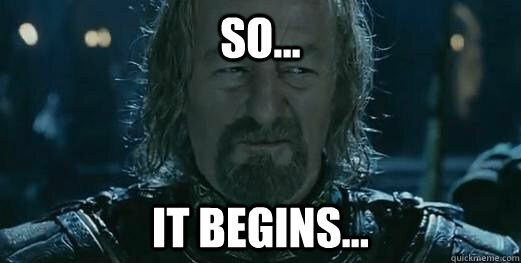 Black Friday is in two days, and it won't be so hectic here at home. Here is the thing.... I already have enough Android tablets, but only Hazel and Poppy are the most current. The others are 4.0 or below. I don't really need yet another Android tablet, but RadioShack and ShopKo are offering low-end KitKat tabs for only $40. 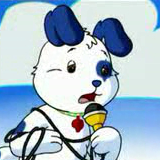 Both offer a dual core processor, which is a step above Poppy who is single core. RadioShack has a "Nobis" brand tab, while ShopKo has a "Double Power" brand. I need to look at both carefully. I have enough tablets, but you don't really see $40 tablets at local stores every day. The Genesis and SNES version is more or less the same in terms of gameplay and graphics. It's just the BGM that the SNES has superiority in, because apparently Virgin and Westwood thinks it's not possible to have more than one playing SFX at the same time (which Sonic 3 proved false). RAMChYLD Wrote: The Genesis and SNES version is more or less the same in terms of gameplay and graphics. It's just the BGM that the SNES has superiority in, because apparently Virgin and Westwood thinks it's not possible to have more than one playing SFX at the same time (which Sonic 3 proved false). Well, turns out I beat TMNT IV on the hardest difficulty. The ending was well deserved too. Slash is still insanely difficult however, and it's luck I was able to get past him. Now, maybe this weekend, I will tackle The Lion King. I decided to pass on the Android tablets because of KitKat and the fact Hazel and Poppy still do just fine by themselves. I'm not sure what to get then... maybe that small Bluetooth speaker from True Value then? I also streamed music via Bluetooth for the first time ever. I recently got a tower speaker for my entertainment setup, and it happened to contain Bluetooth. I tested the feature out by pairing it with Hazel and tuning in to a streaming radio station. Works wonderfully. Then why do I need that small Bluetooth speaker then? Impulse buy perhaps? So what if I don't make my bed? It's called RAMChYLDian efficiency. If I make my bed, I waste 10 minutes tidying up in the morning, and then waste 10 minutes unfolding my blanket before I can go to sleep. By not making my bed, I save 9 minutes and 30 seconds. Since I just get up and go, and then when I want to go to sleep, I just pull my blanket over and go to sleep. RAMChYLD Wrote: So what if I don't make my bed? It's called RAMChYLDian efficiency. If I make my bed, I waste 10 minutes tidying up in the morning, and then waste 10 minutes unfolding my blanket before I can go to sleep. By not making my bed, I save 9 minutes and 30 seconds. Since I just get up and go, and then when I want to go to sleep, I just pull my blanket over and go to sleep. I make my bed... in less than 30 seconds. I just pull the covers towards the pillows and don't bother to make it all nice. That way, I can use my bed to set stuff on during the day and not to make it pretty or organized. My bed is where I take pictures of the majority of most of my new acquisitions and other things. 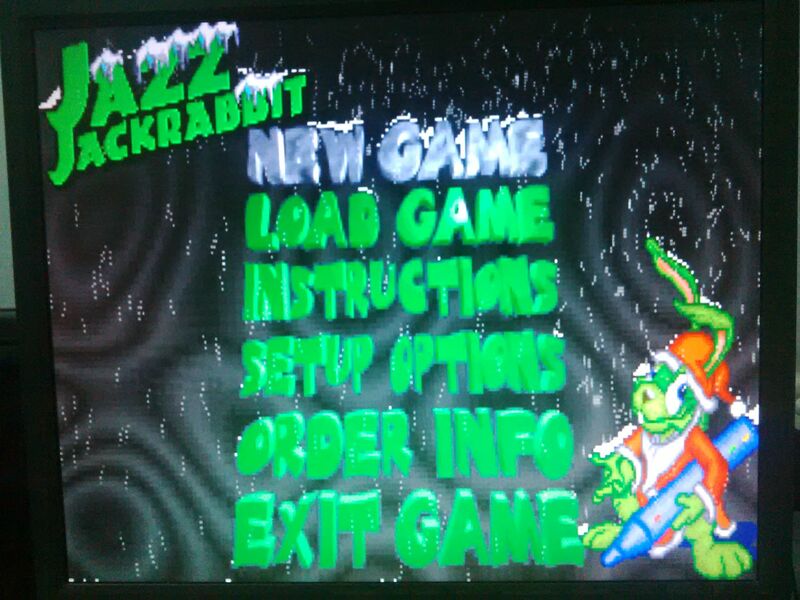 BTW, I didn't know there was a Jazz Jackrabbit game for DOS. Is that the same as the Konami games, or did a different company develop that? Epic Games of Unreal fame first developed the series afaik. Never heard of Konami making one. huckleberrypie Wrote: Epic Games of Unreal fame first developed the series afaik. Never heard of Konami making one. I knew Konami made a game with a rabbit character, but I guessed the wrong one. Apologies to all, but I know it's no big deal. cpd2009 Wrote: I make my bed... in less than 30 seconds. I just pull the covers towards the pillows and don't bother to make it all nice. That way, I can use my bed to set stuff on during the day and not to make it pretty or organized. My bed is where I take pictures of the majority of most of my new acquisitions and other things. Well, if you're told that folding up your comforters and blankets and arranging them neatly in one corner are part of making your bed, and your blanket is pretty much the size of a kiddie pool, and you have no less than 8 blankets (2 SSC, 1 Care Bears, 1 Bear in the Big Blue House, 1 Blues Clues, 1 My Melody ripoff from my childhood, and one generic teddy bear blanket that I fell in love at first sight while shopping one day during my college years, and then the main comforter), you'd take 10 minutes too.